How can I help a survivor? 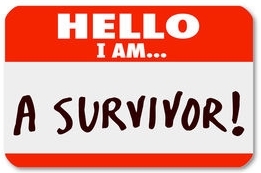 I am a Survivor! Now what do I do? You have experienced a very traumatic event and as a result may have physical injuries that need treatment. You may choose to seek care from an emergency room, clinic or private doctor's office. This evaluation and treatment are important to care for traumatic injuries, prevention of sexually transmitted infections including HIV and addressing concerns about possible pregnancy. For your future well-being it is important to seek this care as soon as possible. Do to the nature of your injuries the healthcare professional may have to report the injuries to law enforcement. Law Enforcement: What do I say to the Police? When a crime has been committed it is the responsibility of the police to investigate what happened, and if they have enough information, to arrest the person responsible. You may choose to speak to the police. They will want you to tell them everything you remember, even small details will be helpful. The police will ask you to have an examination by a specially trained health care practitioner to help with gathering evidence. If you choose to do this the emergency room or special clinic. It is important for you to consider that delay in gathering this evidence may hinder the ability of law enforcement to pursue prosecution of the case. You are entitled to have an advocate with you throughout this process. The advocate works with HAVEN Women's Center and is trained to provide support, guide you through the process, maintain your confidentiality and provide you with information and referrals to services. You may also choose to ask a trusted friend or family member to accompany you to follow-up medical or law enforcement appointments. How can I be sure I am safe? If you have concerns about your future safety these should be discussed with your Advocate or law enforcement. They will help you assure that procedures are in place to protect you. Then what will i do? There is no quick or universal process for healing from sexual violence, as a survivor you will develop your own coping strategies and will heal in your own time. It is very important during this process that you take the opportunity to have a say about what happened in your life. There will be recommended medical appointments, counseling, and support opportunities, but you will know best. What and when it is best for you to pursue them. You may make your own decision about further interactions with law enforcement and prosecution. Will I ever get over this? Recovery from sexual assault is different for each survivor. It is important to remember that this, like many very significant life events, will always be a part of your life story. Over time you will be able to define how it affects your lefe and that definition may change as time goes on. You may choose to call the police, seek medical attention, have the support of an advocate, seek counseling or other supportive services. You have the right to be believed. You have the right to be given the same credibility as any other crime victim. You have the right to seek and receive help. You have the right to courteous, efficient treatment. You have the right to be treated with dignity and respect, without prejudice against race, class, lifestyle, age, gender, religion, sexual orientation, or occupation. You have the right to accurate information, presented in a way that you understand. You have the right to ask questions. You have the right to make your own decisions. You have the right to change your mind. You have the right to get help and support from others. You have the right to heal. Haven Women's Center of Stanislaus County provides confidential services to victims of domestic violence, sexual violence, and human trafficking in Modesto, Ceres, Turlock, Empire, Keyes, Patterson, and surrounding areas. 24 hour crisis line at (209) 577-5980. Contact business office at (209) 524-4331. 618 13th Street Modesto, CA 95354. Copyright 2010-2017. All rights reserved.